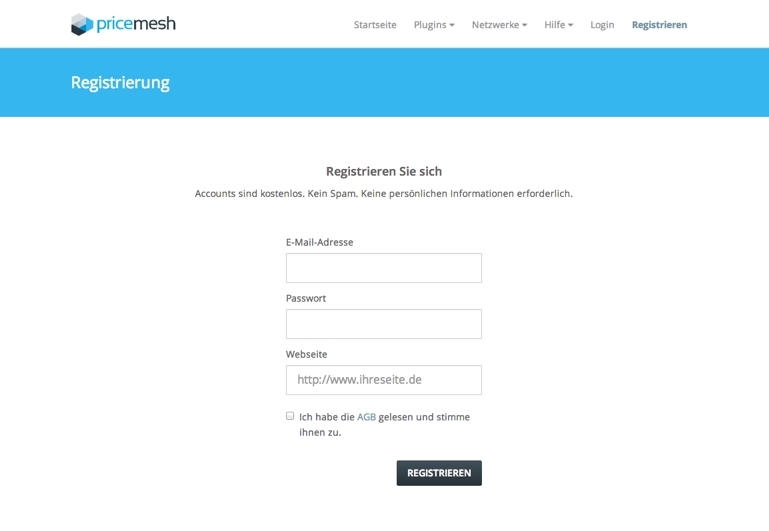 To use Pricemesh, you first need to register. The account is free and without obligation. After successful registration you will receive an email with an activation link. Once you click this link, you are already logged in and ready to go. To use the price comparison you need to subscripe to a package. As a new customer you can test each package free of charge for 7 days. Here you can find a overview for all packages. and complete the order process to start the free trial period. Pricemesh is now ready for use. If you are not a member of any affiliate network, you must sign up with at least one. The commission is paid out by the network. You must have an active partnership with each shop that should appear in the price comparison . 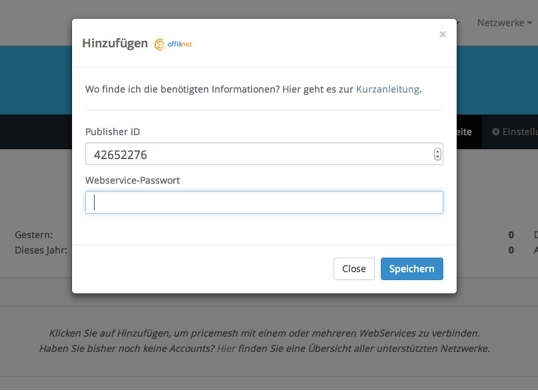 The shop must have the product data filed with the affiliate network and connected with a unique product number. This is not the case with every shop, in case of doubt it is best to contact in advance. To access the data of the individual networks, you have to connect them with Pricemesh . Now choose your network from the drop down menu and click on save. Since the credentials are sometimes a little hidden , you will find a link for each network in the upper area of the popup, which will take you to a step by step guide . 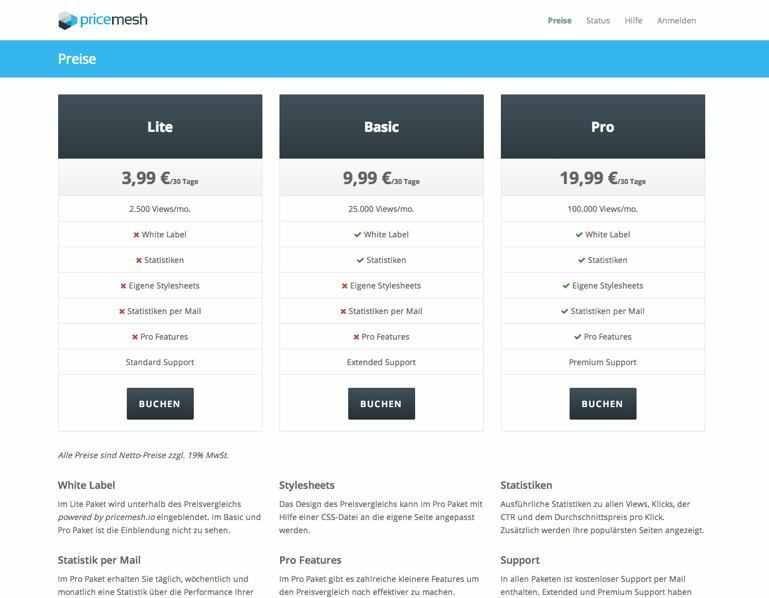 If you use WordPress, you can install the Pricemesh plugin. You can display the price comparison on any page. It only takes a few lines of code.